Profit from our closed system. All hospitality businesses can benefit from using our Orderman radio ordering system. No matter what size your business is, using the Orderman radio ordering system will increase efficiency, save time and give you more control over your workflow. This is important for the success of every restaurant business, whether large or small. Hospitality handhelds with customized solutions for every area of operation. All Orderman handhelds are developed exclusively for use in the hospitality industry. Ergonomics, design and durability make mobile handhelds what they are: long-lasting and user-friendly tools for hospitality pros. With up to 5-years of all-included, no-hassle warranty. Our handhelds come with practical accessories to ensure scalability meet individual needs. NCR Orderman offers an extensive POS portfolio. When you buy a POS system from NCR Orderman you are choosing a system known for its reliability and long service life. Twenty-five years of experience in developing technology products for the hospitality sector go into our POS systems – and the wealth of 125 years of experience of our parent company NCR. The best proof of our quality is the industry-wide unique all-inclusive, no-hassle warranty of up to 6 years. 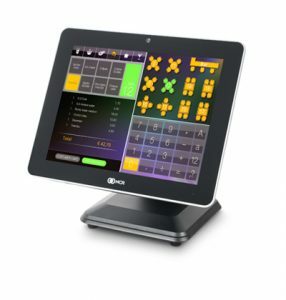 Our POS systems come with practical accessories to ensure scalability meet individual needs.